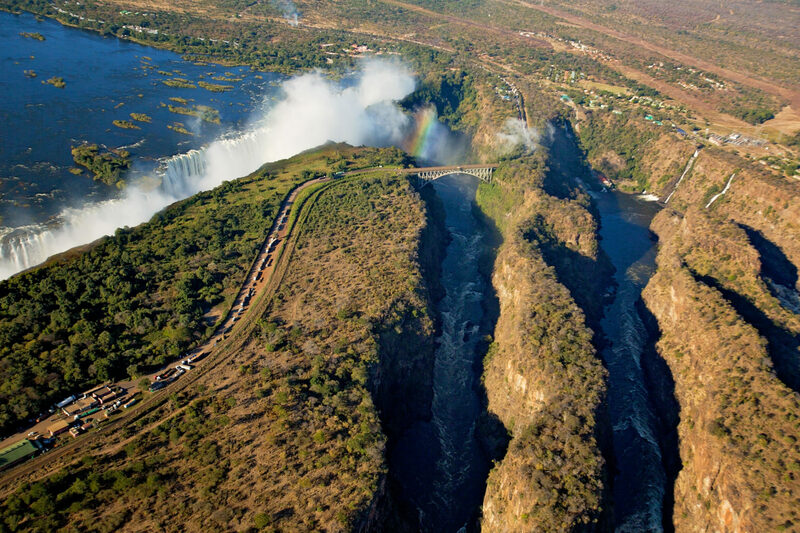 As a holiday destination, Victoria Falls is simply the ultimate all-round experience. The scenery, the wildlife, the activities and the culture and history combine to offer a fantastic adventure. Ilala Lodge Hotel is centrally located, offering guests an ideal place to begin their journey. 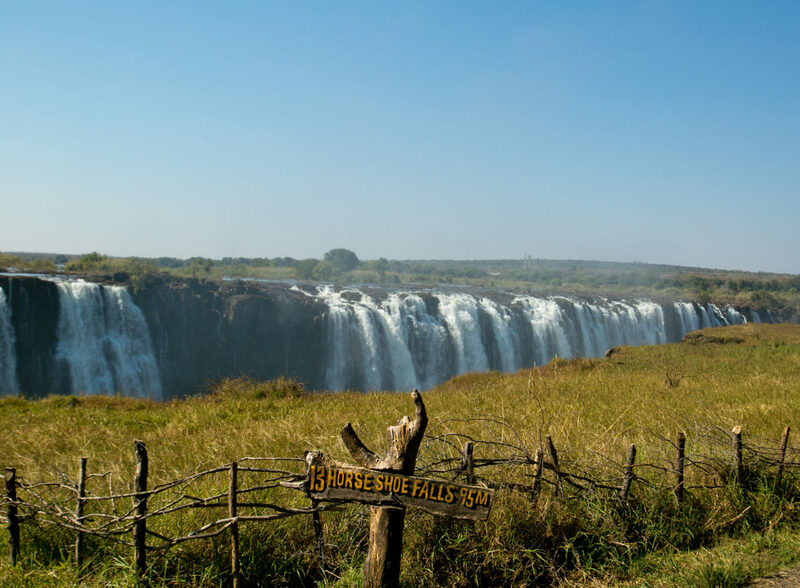 In fact, the hotel is only 936 steps from the mighty Victoria Falls – we counted! Victoria Falls, located on the border between Zimbabwe and Zambia, has some of the most astounding views of any natural World Wonder. The massive sheet of falling water is mesmerizing and awe-inspiring, as is the view down the chasm itself. The natural rainforest on the Zimbabwean side of the Falls is a unique habitat to over 400 plant species, numerous birds species and small antelope and primates. The nearby Victoria Falls National Park, as well as the towns of Victoria Falls and Livingstone, offers additional activities. Choose from nature-based activities, cultural trips or the exhilarating options of bungee jumping and white-water rafting. The park is teeming with all the magnificent African wildlife, including elephant, lion, buffalo, leopard and rhino. When to visit Victoria Falls? Victoria Falls can be experienced differently at different times of the year. From April to July, the Falls are full and spectacular, as they are at their peak flow. They create an impressive wall of water and visitors are sure to get wet as they walk through the dense rainforest from the spray. Photos are a bit trickier to get from the ground at this time of year. For the best game viewing, visit the Falls from late August to the end of December. During this drier period, the wildlife is far more visible in the bush; the water flow of the Falls diminishes and the rocky cliff can seen better. 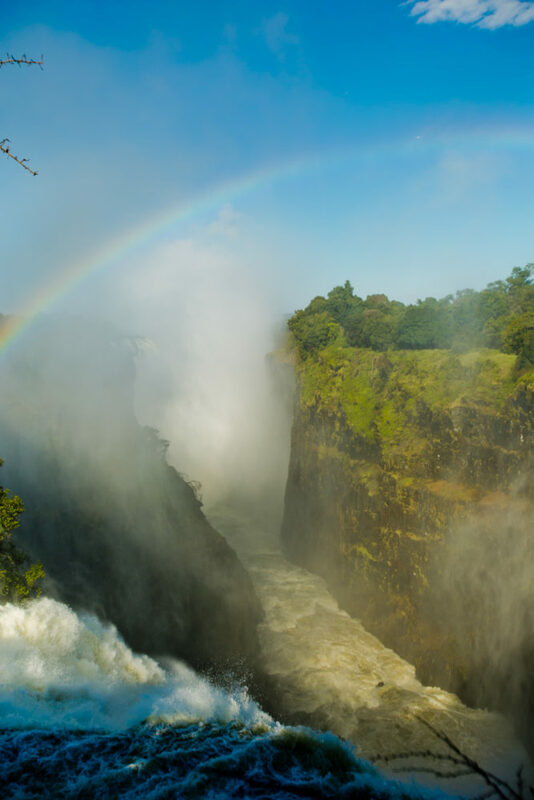 The history of Victoria Falls is a fascinating one based primarily on the monumental discovery of the Falls by Dr. David Livingstone in 1855. 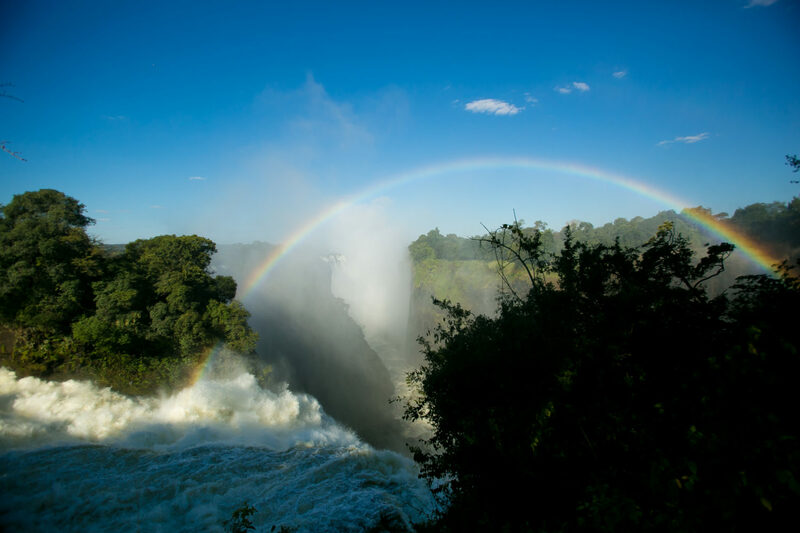 When he and his exploratory team first encountered the ‘Smoke that Thunders’, he saw ‘…scenes so lovely they must have been gazed upon by angels in their flight.’ Livingstone’s discovery and the history surrounding it intrigue many Victoria Falls visitors. Tours of this UNESCO World Heritage site give great insight into this history. Ilala Lodge Hotel has compiled a book that tells the story in detail and is available at the hotel. 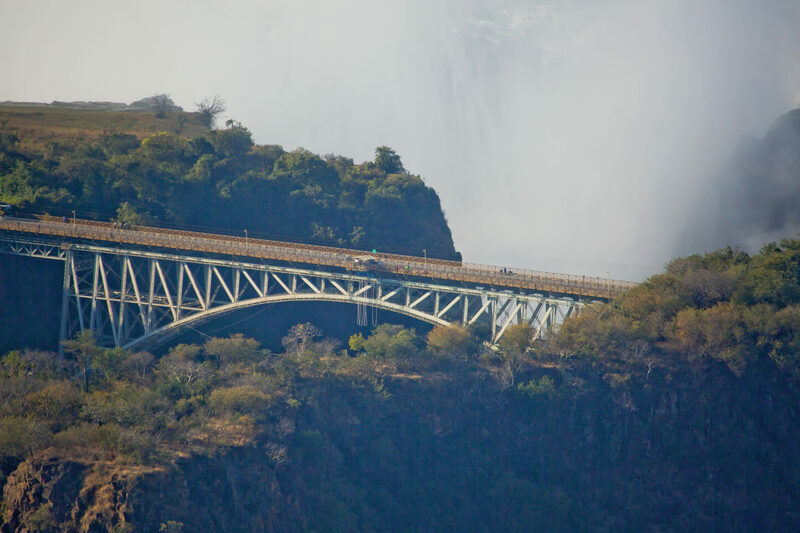 The Victoria Falls Bridge was built in 1905 to link what are now Zimbabwe and Zambia. The bridge was the vision of Cecil John Rhodes, who wanted ‘the spray of the Falls on the train carriages’. 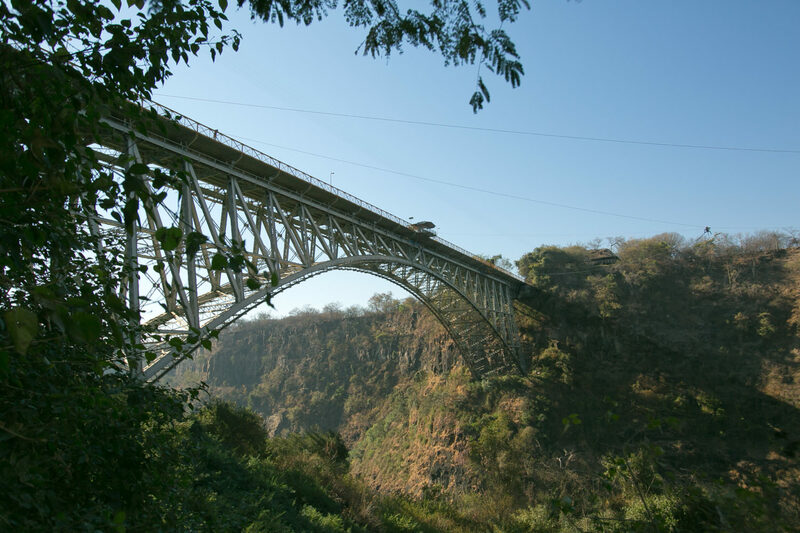 The impressive bridge was constructed from steel and the arch spans 156.50 metres, with a height of 128 metres above the valley floor. Apart from carrying the usual cars, trains and foot traffic, it also hosts the world-famous 111-metre Shearwater Bungee Jump. A railway museum near the Victoria Falls is a good source of information for railway enthusiasts. For more information about all the exciting things to do in the area, be sure to visit our Activities Page and our Victoria Falls blog.